A mind-bending mural in Georgia will have you distrusting your eyes. Are the horizontal lines in this piece of art straight? Join the debate! An optical illusion created by entertainer and artist Victoria Skye will have you do a double take. 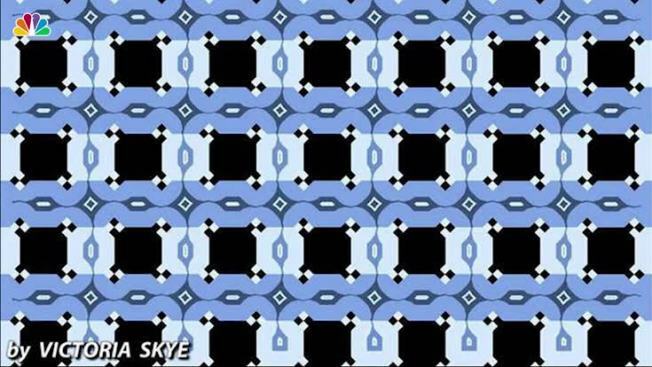 It appears the horizontal blue lines are slanted when they are perfectly parallel. "The contrasting colors, angles and edges all go into deceiving the eye," Skye, 58, from Roswell, Georgia, explained on Twitter. The Cafe Wall illusion goes all the way back to 1979, when it was noted by Richard Gregory and Priscilla Heard from the University of Bristol in England.